We’re talking to special guest Lloyd Kaufman about the film that re-defined Troma, spawned three sequels (so far), a kids’ cartoon, a musical, comic books, and a way of life. This entry was posted on Wednesday, June 27th, 2012 at 9:42 am	and is filed under News. You can follow any responses to this entry through the RSS 2.0 feed. You can leave a response, or trackback from your own site. 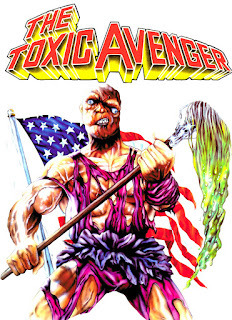 You are here : Home » news » 2012 » 06 » 27 » Special “Toxic Avenger” Podcast With Lloyd!